Marking the national day, the newest airline of Saudi Arabia commenced its flight operations with a sellout flight and smiles all around. Flyadeal conducted its first scheduled flight on Saturday 23rd September with much celebration and excitement. 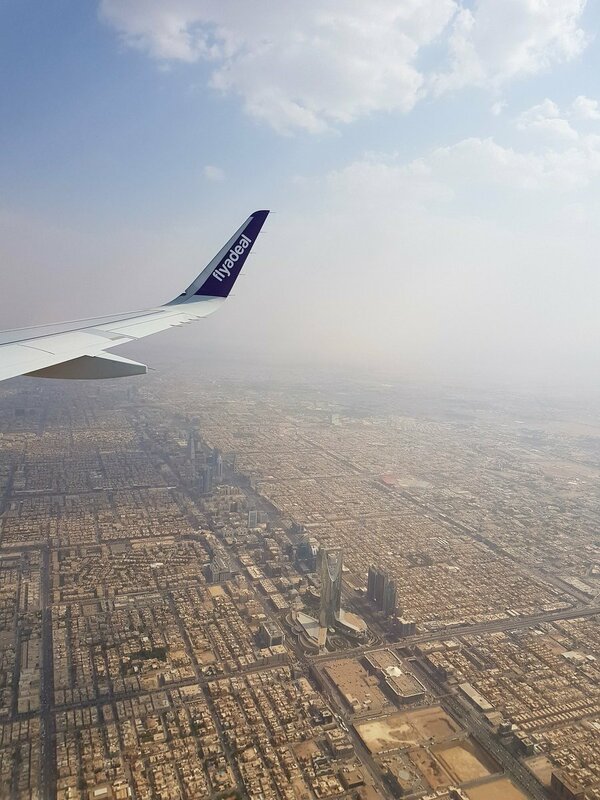 The airline has high aspirations of providing the large, very young and digitally savvy population of Saudi Arabia and the local region with a reputable and successful low-fare airline to facilitate both domestic and regional travel. Flyadeal's fleet are CFM engined Airbus A320s that have a distinctive palette of white, purple and lime on the outside which is carried through on the insides in cabin crew uniforms as well as cabin highlights. The configuration is a single-class layout comprising of 186 18” wide Recaro economy class seats, which are all equipped with USB power outlets and personal device holders, ideal for smartphones and tablets. 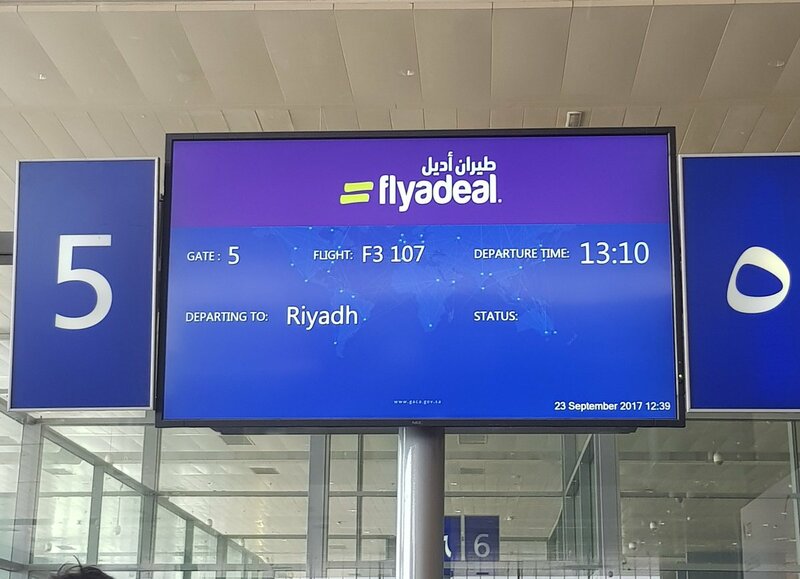 Based in Jeddah the low-fare airlines is designed to give passengers a real choice, in following a traditional low-cost model, flyadeal will charge for extra services, such as luggage, better seats, hot meals etc. 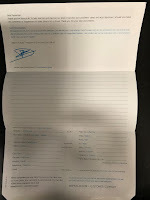 However, they also have a good quality basic offering for passengers who want the lowest fares and are happy to travel with just a backpack or cabin bag. 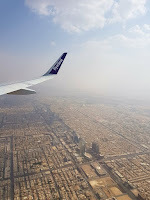 re flyadeal, Saudi Arabia’s new Low Fare Airline. The future does indeed look bright for this latest addition to the aviation industry in the region, which has the drive and enthusiasm to achieve its long-term plans to establish itself as a truly region low-fare carrier. The airline had sold 10,000 seats on its services within the first 24 hours of them going on sale earlier this month, indicating that demand is strong for this type of airline. 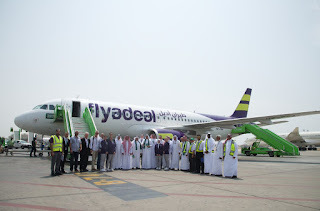 The inaugural flight was met with a traditional water cannon salute from the Riyadh Airports fire service, which flyadeal's staff documented from inside the aircraft on social media.